I have made two Sega Genesis reproduction carts. One being M.U.S.H.A and the other being Alien Soldier. They work superbly and frankly I'm surprised I was able to make them. I wanted to make reproduction carts so I can play rare games on actual hardware. A single MUSHA cart runs a price of over $200 on eBay since it is that rare, and Alien Soldier was never released in North America (except for download on the Sega Channel). Before making the repros, I bought the Alien Soldier rom on Steam, and to my frustration, IT RUNS AT 50 FPS! They could have given me the Japanese rom at least since I don't care about the small bit of Engrish. So I had enough and decided to make a cartridge of it so I can play it on my Genesis in glorious 60 fps (Genesis master race!). I had no idea it was that simple to make custom Sega Carts until I watched a video by John Riggs. All you really have to do is write the game data to an EPROM, solder it to a PCB, put it in a cartridge and you're done! You don't have to worry about multiple chips (unless you are making a game with a save function), or soldering wires all over the chip like people do when making SNES repros. There were some extra steps I had to do like patching the Japanese rom of Alien Soldier to run on American consoles, and installing an optional capacitor on the brand new PCB because why not? I'm not going to make a tutorial since I'll probably leave out some critical step and I don't want to piss anybody off if they mess up, but I will say, if you are wanting to make a repro cart, there is an option to make it out of 100% all new material so you do not have to sacrifice some grubby sports game. If you look on Amazon.com, you can find replacement Sega Genesis cartridge shells, and they come in many colors. You can order brand new high quality PCB's from this site called Second Dimension. Sure you can easily download a Sega emulator and a bunch of roms for free, but you can't truly replicate the full experience of playing Genesis games on a PC. Emulation does not perfectly replicate gameplay even though it's mostly indistinguishable from the real thing. Most emulators will optimize specific roms that happen to be the most popular such as Sonic the Hedgehog, and it will appear to be free of quirks, but some other obscure titles such as 16 Ton may be unoptimized if the programmer of the emulator never heard of them.This article goes into more detail on the subject. If you would rather have 100% accuracy as opposed to 99% accuracy, go buy yourself a Sega Genesis for 30 bucks, and if you happen to be a pirate, you can always purchase an Everdrive. 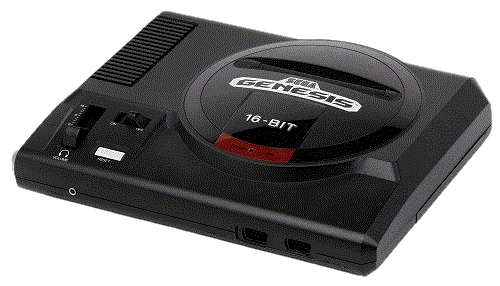 I can't totally prove to you that this console will last that long, but I do know Sega Genesises will not break down as easily compared to many modern electronics. Some people are afraid that these old pieces of hardware won't last much longer because their Xbox 360 got a red ring of death after three years of use. Let me tell you, that old videogame systems have no moving parts like modern videogame consoles, nor generate massive amounts of heat. Plus, older electronic hardware in general have larger internal geometries in their integrated circuits, and because of this, they are less prone to things like electromigration, which happens at the atomic level. A sheet of cardboard is much more durable than a sheet of tissue paper after all. Many Games still hold up today. This is mostly self-explanatory, but a game does not have to have high tech graphics in order to be fun. I'm sure most would rather play the original Sonic the Hedgehog than Sonic '06. I personally found Contra Hard Corps to be more entertaining than Call of Duty.